It’s not usually that easy to acquire confidence; we normally do it over a period of time and by trying out things until we feel more confident doing them, like public speaking. But in 2009 researchers at Ohio Sate University discovered that our posture, as well as sending a message about our confidence levels to other people, can send one to us! The study included 71 students at Ohio State. 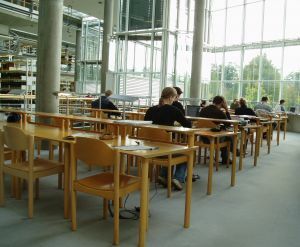 Participants were told they would be taking part in two separate studies at the same time, one organized by the business school and one by the arts school. They were told the arts study was examining factors contributing to people’s acting abilities, in this case, the ability to maintain a specific posture while engaging in other activities. They were seated at a P.C. and instructed to either sit up straight and push out their chest or sit slouched forward with their face looking at their knees. Then the students participated in the business study, which supposedly investigated factors contributing to job satisfaction and professional performance. While holding their posture, students listed either three positive or three negative personal traits relating to future professional performance on the job. Once they’d done this, the students took a survey in which they rated themselves on how well they would do as a future professional employee. The results were amazing. The posture of the students had a very significant effect on the answers they gave. Stay Upright and Be Positive! Students who held the upright, confident posture were much more likely to rate themselves in line with the positive or negative traits they wrote down. In other words, if they wrote positive traits about themselves, they rated themselves more highly, and if they wrote negative traits about themselves, they rated themselves lower. Slouch Down and Be Negative! However, students who assumed the slumped over, less confident posture, didn’t seem convinced by their own thoughts – their ratings didn’t differ much regardless of whether they wrote positive or negative things about themselves. The message seems clear (at least if it is if research with students translates to the rest of us). Acting ‘as if’, i.e. sitting tall and confidently, actually can increase your positivity and along with that your confidence in your own abilities! What’s your favourite confidence booster? I imagine I know what I am doing even if I don’t. I stand tall and look confident even when quaking in my boots.